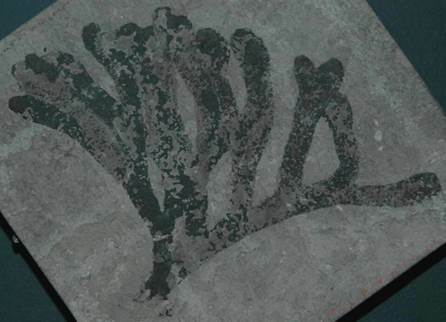 Well-preserved fossils of fleshy algae occur occasionally in Silurian dolostones of America. Several examples are shown below. Medusaegraptus mirabilis Ruedemann, 1925 (left: 4.9 cm tall; right: 8.7 cm tall) preserved as carbonized compressions in argillaceous dolostones of the Upper Silurian Goat Island Formation from western New York State, USA. 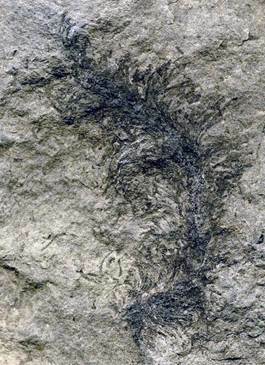 Rudolf Ruedemann originally identified these fossils as dendroid graptolites. Modern workers have assigned this material to the dasyclad green algae (Plantae, Chlorophyta, Ulvophyceae, Dasycladales, Seletonellaceae, Dasyporelleae, Medusaeporinae). Locality: Lafarge Gasport Quarry, Gasport, eastern Niagara County, western New York State, USA. Stratigraphy: Medusaegraptus Epibole (part of the “Gasport Channel” or “Gasport Lens”), mid-Niagara Falls Member, lower Goat Island Formation, Lockport Group, ~lower Ludlovian Series, lower Upper Silurian. Manitobia sp. (left) preserved as a carbonized compression in Silurian argillaceous dolostone from Ontario, Canada (FMNH PP46685, Field Museum of Natural History, Chicago, Illinois, USA). Manitobia newlinii (White, 1902) (right) preserved as a carbonized compression in dolostone from the Kokomo Member of the Wabash Formation (Upper Silurian) from Kokomo, north-central Indiana, USA (UC 875, University of Chicago, Chicago, Illinois, USA). 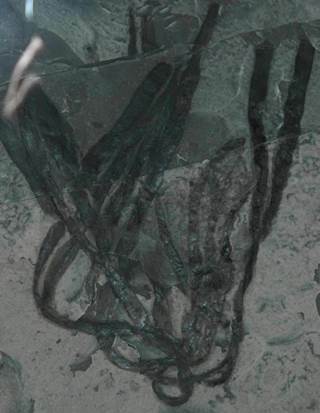 Both of these algae have been previously assigned to Buthotrephis, a nominal genus that is a junior synonym of the branching trace fossil Chondrites. 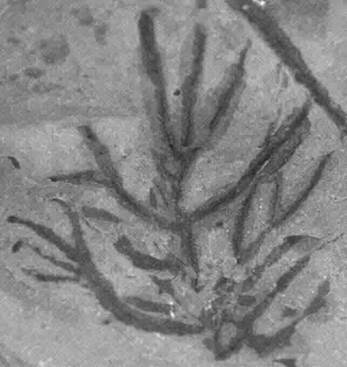 These algae have been reassigned to Manitobia, a possible fossil red alga (see Fry, 1983, An algal flora from the Upper Ordovician of the Lake Winnipeg region, Manitoba, Canada. Review of Palaeobotany and Palynology 39: 313-341). cf. Rhizomorphia from the Silurian of Herkimer County, east-central New York State, USA (FMNH PP 46694, Field Museum of Natural History, Chicago, Illinois, USA).